Please view and check back often to find new posts and greetings from fans all over! Good Bye, ol' friend, Hawk! We lost our good friend, Hawk, May 24, 2003. So many of you have loved "Ole Hawk" for a very long time. Others of you, like us, have been friends for only a very short time, but came to love and appreciate this special individual. We are so grateful to him for allowing us to help in this project. *Hawk's memorial was held May 31, 2003, Saturday, at Wood's Funeral Home in Deport, Texas, with Waylon's music played as the life of Hawk was celebrated. Our deepest appreciation goes out to family, friends, and all Waylon fans, for their prayers and heartfelt condolences in our time of sorrow. Hawk brought great love and joy to our lives and offered friendship to many others. His passion was for sharing Waylon's music to as many as he could. We are very honored to have known and been loved by him. Hawk, we miss you and will always love you. Until I see you again, my love, may you go with God. Pawpaw, I miss you so much. I can go fishing now that school is out so if God and Waylon get tired of you can you ask them to send you back to me and mawmaw. I'll love you forever. 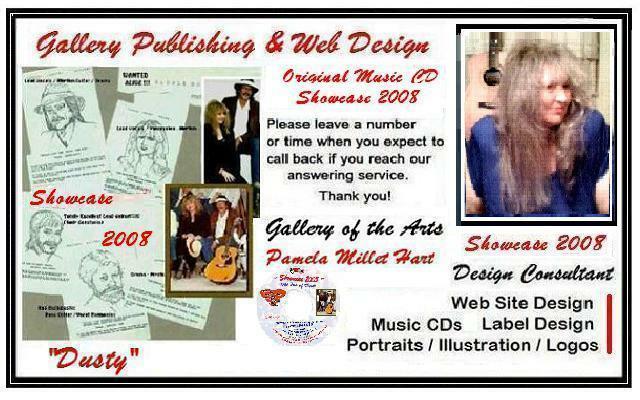 We welcome any other family / friends to add their comments via the guest book on this site (click on "sign our guest book" at the end of this page -- or email the web designer at Dustyshot@aol.com) which will be documented in the record of this remarkable culmination of Hawk's vision - a tribute to his beloved Waylon and Jessi. We send our most sincere sympathy to those closest to Hawk, especially his cherished wife, Marsha, and his family. ** News Alert Updated: RCA Records announces lineup for I've Always Been Crazy: A Tribute to Waylon Jennings Now changed -- to be released July, 2003. RCA Records has announced the artist line-up for "I've Always Been Crazy: A Tribute to Waylon Jennings," scheduled for release in July, 2003. Jessi Colter has authorized the 16-song collection and will contribute a new version of "Storms Never Last," a song she wrote and recorded with waylon. Most of the following LINKS are currently DISABLED. As the pages are reconstructed, they will be enabled. Thanks for your patience. Check back soon! 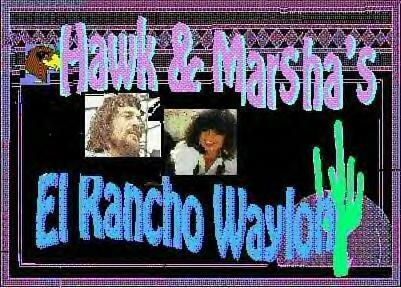 Hawk's Memorial Page for Waylon ~ Back AGAIN! "WAYLONISMS!" Wise & profound as Waylon, himself! Have you got one? Send it to us so we can post it! Watch our LP COVERS collection grow! Click Here to Visit Waylon's Photo Gallery! We're adding new photos often !!!! Click here to read some great comments! 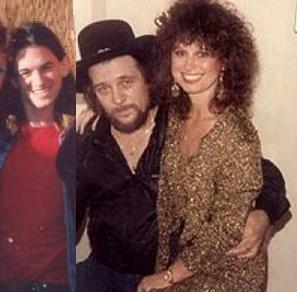 And sites of Waylon's Friends in music! 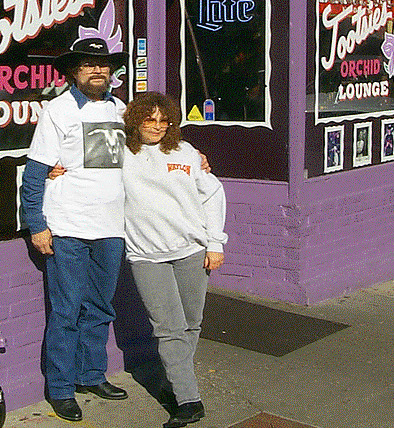 Fan photo album ~Add your photo to the "Hoss Fan" page! a Waylon fan's "first hand" experience at the event! The Man's Dream Band - Waymore's Blues Band ! Question: Is this REALLY Waylon? .... or isn't it ............ ? Hope ya'll like this web page. Be sure to sign our guest book and tell us what you think and what you'd like to see us include on these pages. I've been everything from a cook to a baker and sometimes a trouble maker, but thru it all--Waylon music has been a constant companion. 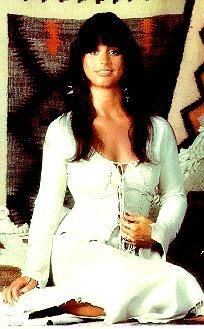 Waylon music is GREAT MUSIC. "One needs to really listen" to his music, not just hear it. That is a quote from an early Waylon LP liner note, but it is as true now as it ever was. A ... "gorgeous lady" ... "my lovely wife, Marsha, is a registered nurse and deserves most, if not all, of the credit for salvaging what little good there might be in me." From Military duty to looking at the world thru a windshield, the crazy path which has been trod thru this land is one that most people would not want to retrace, but the memories have really been a hoot. On these pages you may find anything from mementos to jokes. Wherever you find me, you will find WAYLON MUSIC. Life is a crap-shoot---sometimes we feel like we've just hit the big time, while at other times we recognize the person who is being carried in the religious poem "Footsteps." Enjoy your time here, and "Listen to Waylon." "You Can't Drive Me Crazy. I Am Close Enough To Walk." 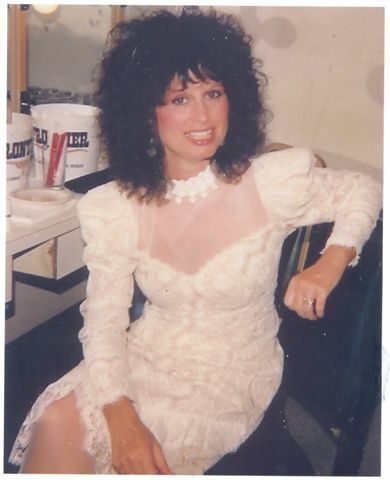 On this site you will find a treasury of information and pix's of our favorite entertainer and his gorgeous wife and partner in life, Jessi Colter. 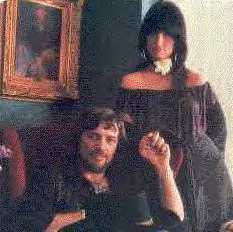 As time goes on we will be adding to the list of our Waylon Music Collection. News items will be added as they become available. Show reviews, & "Waylonisms" will be added occasionally in place of the spicey salsa so common at El Ranchos in Waylon's native Lone Star State. 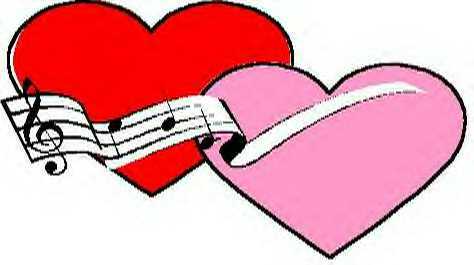 Go to the link above to read about Waymore's Blues band's background and band members. Also -- down the road -- I may include on this site an account of how I originally became a fan and what I like best about the band. This web site is continually updated. Thanks for taking a look at our site. Be sure to sign our Guest Book below or send us a private e-mail with your thoughts and suggestions. We'll be updating frequently, so please check back often. This site created by the Gallery of the Arts. Click on this icon to see our Showcase 2020!